T-shirt peinting Embroidery Truck sign pricing "Your One Stop Logo Shop" for T-shirt Printing, Embroidery, Business Cards and Signs. We guarantee the best price in town! Bring us a bid from any company in town and we will meet or beat it, GUARANTEED. 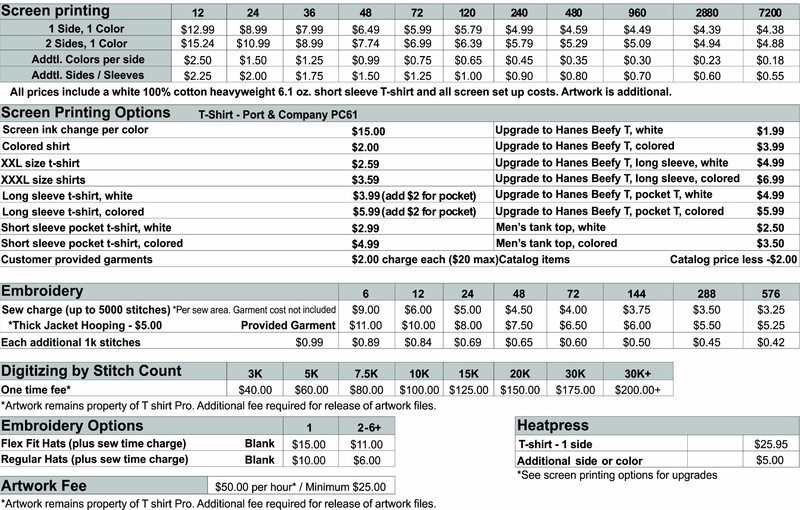 Our pricing is based on quantities ordered. For orders over 240 pieces we recommend calling to get a custom quote. We can custom design your fleet or just one truck. Pricing is customized to your particular vehicle. We have decades of experience installing graphics on cars trucks and even semi trucks and tow trucks. Door magnets are an excellent option for a part-time work vehicle. Our basic magnets start at $50 for a pair. Banners are priced depending on layout and size required. 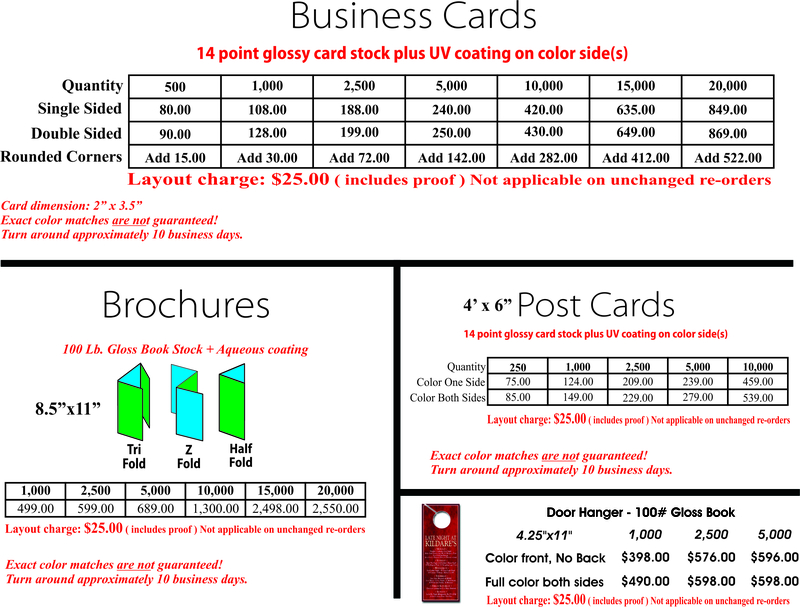 Since no two banners are alike pricing is custom to your order. We offer several banner options including digital printing. We offer decals by the sheet. Please call for a custom quote to fit your needs.